Since our founding in 1951, Gregory Poole has been an important partner to mining operations throughout eastern North Carolina. In addition to selling and servicing the latest Cat® equipment, we also stock a large selection of OEM replacement parts for all of your repair and maintenance needs. Shop online at Parts.Cat.com or call a location near you today! 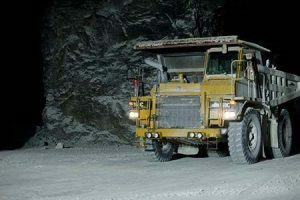 Keeping your operating costs low is an important priority in today’s mining operations. While new OEM parts may be more expensive than aftermarket or used alternatives, the premium you pay now will deliver long-term value in the months and years to come. 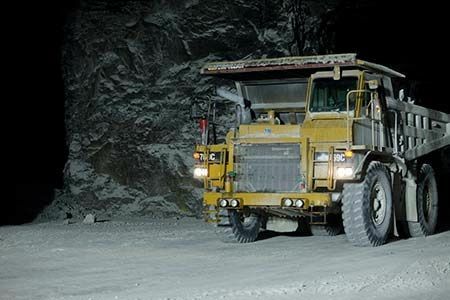 Cat equipment works best with OEM parts — choosing new ensures your critical mining equipment delivers the reliability, fuel efficiency and uptime you count on it for. Don’t take a risk when replacing a key component. New OEM parts are the only option that delivers the performance you need to run a productive, profitable operation. Parts.Cat.com is an exclusive online platform for ordering Cat equipment parts. Available around the clock and continually updated to reflect the most current pricing and availability information, Parts.Cat.com is a convenient alternative to calling your order in or visiting one of our parts departments in person. No matter how you place your order, Gregory Poole can fulfill 97.5% of mining parts requests within 24 hours or less. Thanks to our extensive dealer network and industry connections, we can quickly source even hard-to-find and backordered items. When a repair or maintenance issue is critical to your ability to operate at full capacity, that’s a service guarantee you can trust. Contact the Gregory Poole parts desk to discuss any upcoming repair with our Cat mining equipment experts. Our team knows Cat equipment inside and out and can help make sure you get the right items delivered to you the first time. Find out more by getting in touch with one of our team members today!